Can you believe we have been running these creative challenges every week for over a year now? During that time the Creatively Squared community has generated around 10,000 images inspired by our weekly themes. That's a 10,000 pieces of pure artistic beauty we have sent out into the world and you have all contributed to it! It is incredible to think how much delight and inspiration all those images have brought to the wider community. It is is next to impossible to limit yourself to selecting just one of Aravis' image so I'm making this a tribute to her collection of entries for our 'egg hunt' challenge. Aravis is one of those creatives that is always experimenting with new techniques and never stops surprising you. As well as their visual merits, her photos are often part of a bigger story and are accompanied by captions that fully unveil the background to her creations. 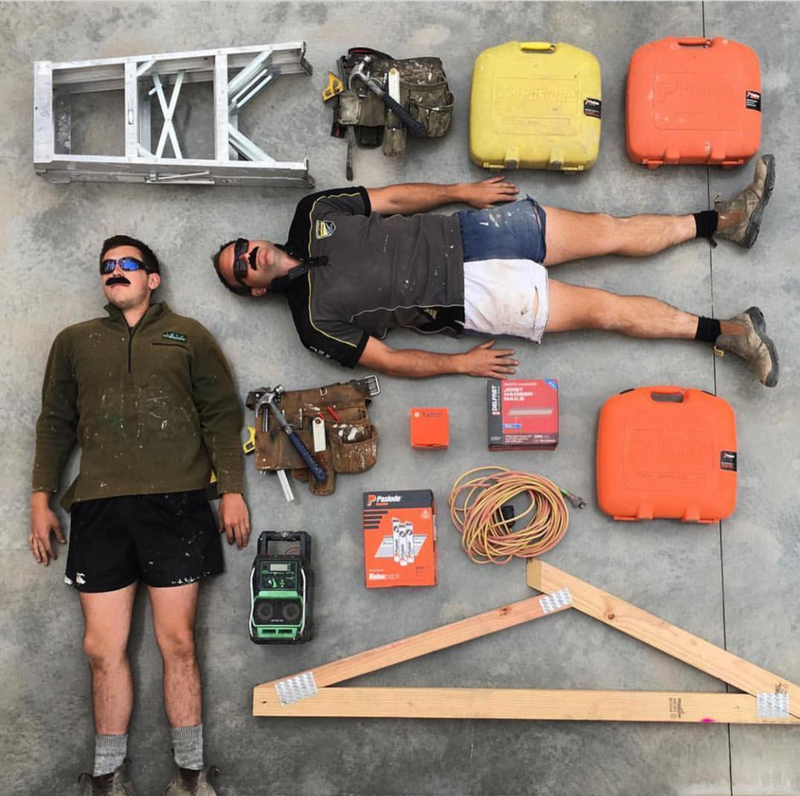 This entry just knocked everyones socks off when it came through, not only is it a man sized flatlay of epic proportions they have even thought about the small details of the 'Movember' theme and added some moustaches! Simply brilliant. I've only ever had to pick the winner of two challenge weeks, and although I don't always agree with the sponsors choices, this week was the easiest decision of my life! We just saw a flatlay of epic proportions now we are celebrating a teeny tiny one. Not only did Lucy masterfully recreate this flatlay inspired by real life items from her favourite stores - she then did it all over again in a stacklay. To top it off she used the image as a clever way to announce to the world that she was expecting a baby boy! Chantelle is another talented creative who has made many wonderful contributions to our community over time. It was a tough decision narrowing her entries down to just one, but this beautiful tribute to the plight of an endangered bird is one of my all-time favourites. Inspired by the 'Greenery' prompt it is incredible how much detail and texture is created from this collection of foraged materials. I'm a huge fan of Belinda's signature paint chip poetry and she is a great example of a creative that uses the weekly themes to inspire her own unique style of creativity. This combination of the cutout artwork, paint chip titles and placement of background textures is genius. I always enjoy reading the captions with each image and Belinda gets bonus points for her description of the endangered Eastern Barred bandicoot, an animal 'born to be 'mild' which is a fun reference to the challenge theme! I'm a sucker for an image that is just pure fun and that sums up Ishy's aesthetic perfectly! You can't look at this photo without a smile in your face she has captured the sentiment of 'feeling fruity' perfectly. The execution of this photo is brilliant with a clever use of mixed media and creative depth of field to bring it to life. This clever campfire composition for our 'Warmth' challenge really captured my imagination. I love the use of found materials, vibrant colour and natural texture. The arrangement really draws your eyes up to the marshmallow which is the perfect finishing touch to this image! My mantra with Creatively Squared has always been that you don't need to bring anything to these challenges except your creativity and this highlights exactly that - look what you can create using just some sticks and flowers from your garden! This photo of the cutest pampering session ever blitzed the competition for the 'Zen' challenge. This shot really embodies the spirit of our community which is a place we like to have fun, think of crazy ideas and celebrate everyones unique creativity. Kim and Holly really nailed the theme this week by starting with a brilliant concept and a finishing with a high quality execution. If you would like to join our Instagram community and participate in our weekly creative challenges we announce our new themes each Sunday in our newsletter. There is a new theme and fab prize to be won each week! Find out more here. Please remember that creativity is subjective and beauty is in the eye of the beholder. Each week our winners are selected by our brand sponsors which means that it is a different judge and a fresh slate for each challenge. To put that in perspective - only half of these incredibly creative images I have just shared actually won their respective challenge weeks! Do you have a favourite entry that always sticks on your mind from our challenges?